Construction: Made from 1/8-inch aluminum with a leak-proof, two-piece design. Powdercoated finish is available in many colors, or you can opt for raw aluminum. 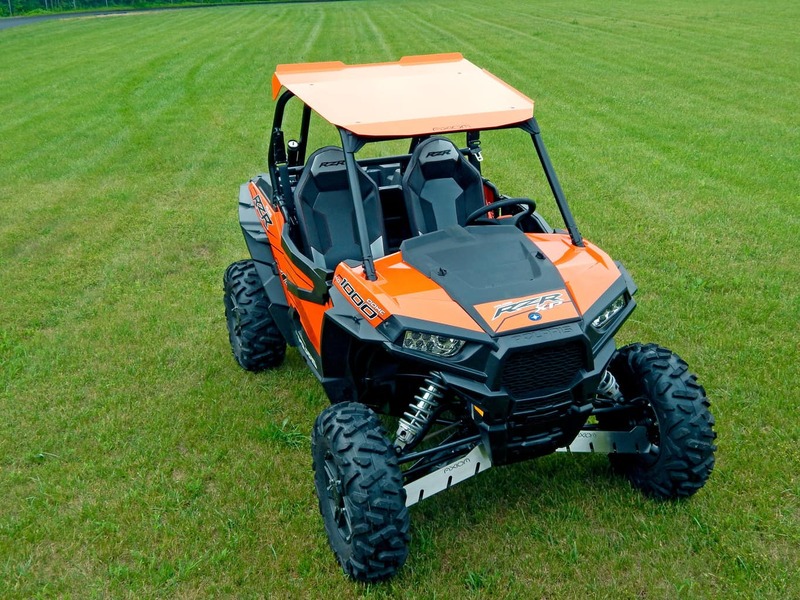 Fitment: Can be added to any CageWRX cage-equipped Polaris RZR XP 1000, RZR 900/900 S/1000 S, XP 4, Can-Am Maverick X3, Yamaha YXZ1000R. Construction: The Cage WRX roofs are precision-made from .063-inch aluminum with custom bead rolling and a pre-bent visor. 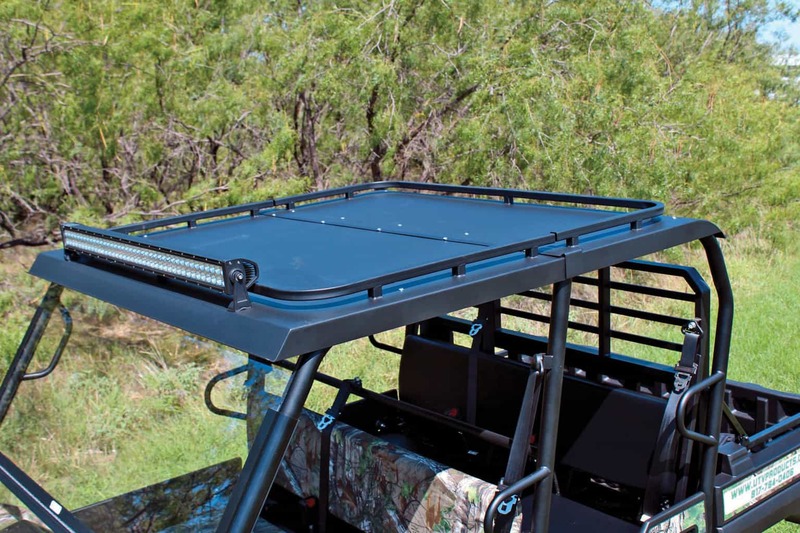 They include all mounting hardware, but the Dzus fastener plates must be welded in by a professional or ordered at the time of cage purchase for free installation. Claim to fame: CageWRX cages are super lightweight with bead rolling, adding impressive strength and good looks. 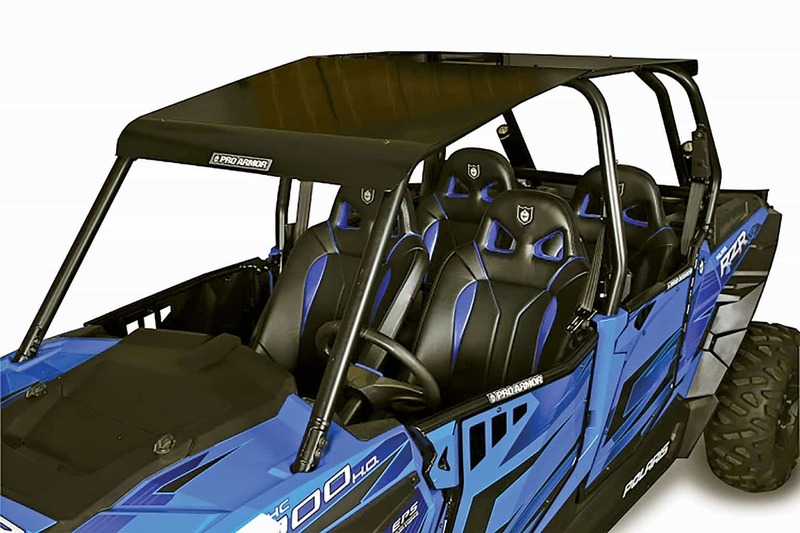 Construction: Built in the USA from laser-cut, .120-inch-thick American aluminum for a perfect fit. It has 3/8-inch support side trim for maximum support and powder-coated for a long-lasting finish. Construction: Laser-cut and bent to perfection from .063-inch 6061 aluminum. 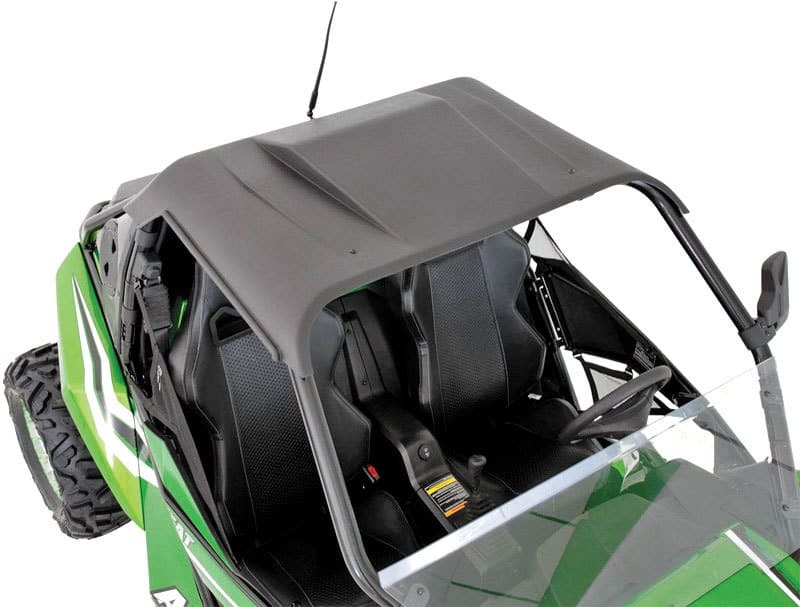 Claim to fame: No tabs to weld on, DRP roofs come with all mounting hardware and mount easily to your existing DRP cage. 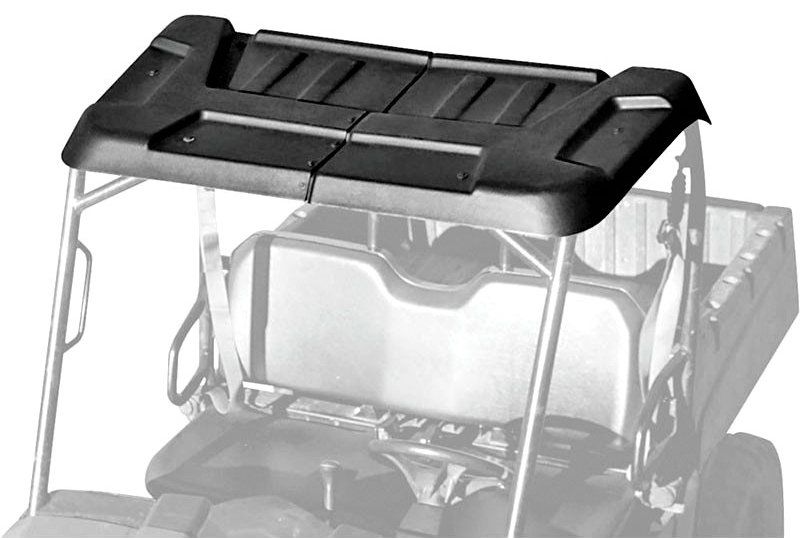 Construction: EMP aluminum tops are made in the USA from 1/8-inch-thick aluminum. They are laser-cut and CNC-formed to ensure consistent fit. 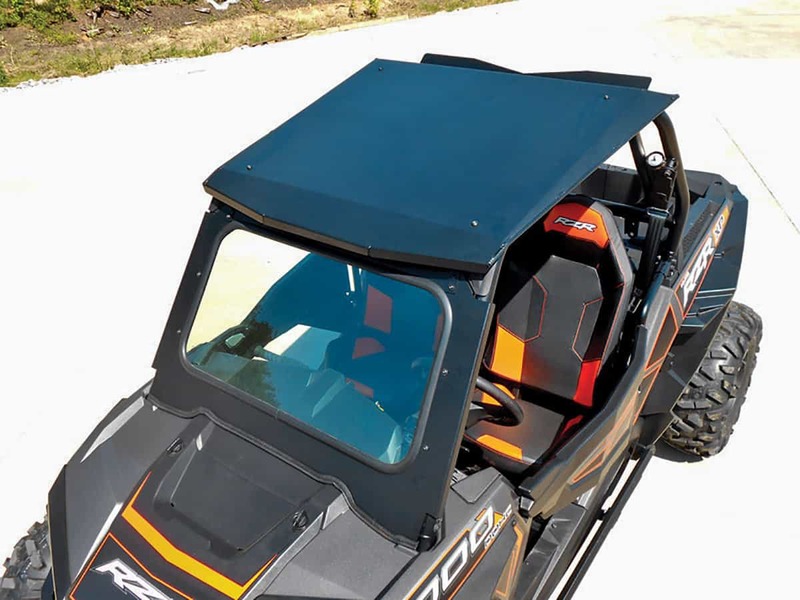 The aluminum roofs are powdercoated black for superior protection, and you can order custom colors for an additional charge. 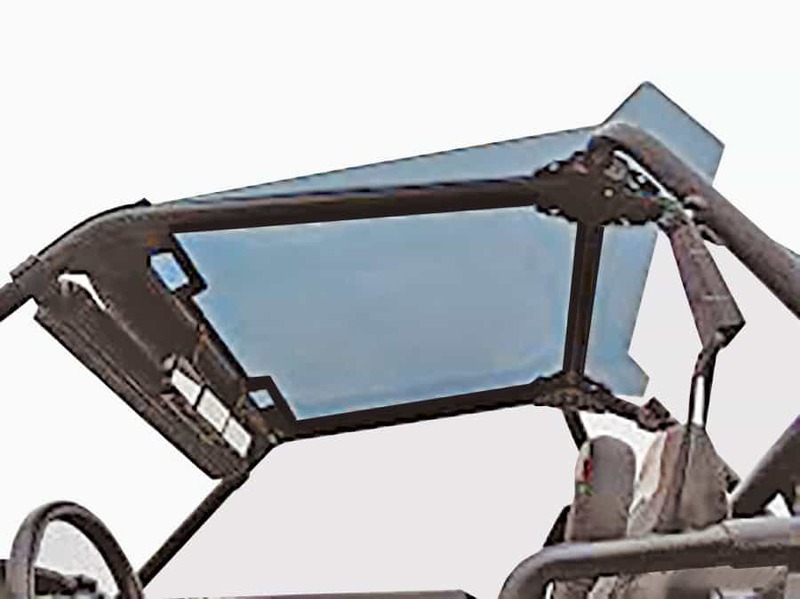 Claim to fame: EMP roofs attach with custom-fabricated clamps and will work with the factory windshields and doors. Construction: Aluminum construction and comes pre-assembled for easy installation with provided clamps and hardware. 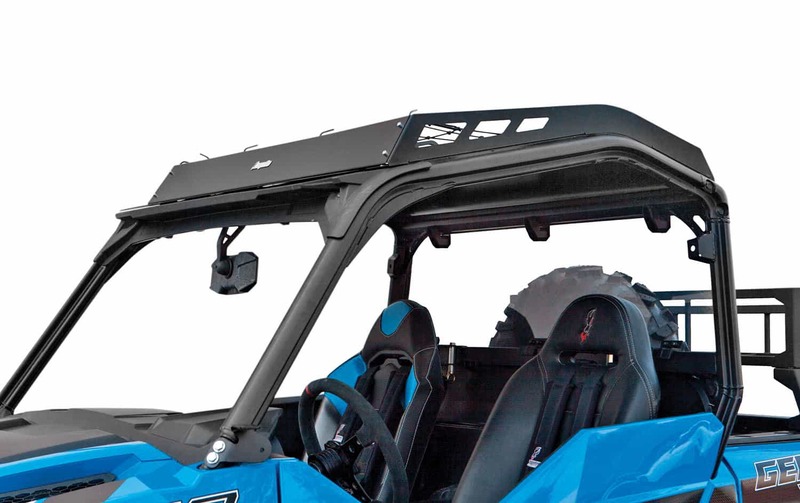 Claim to fame: A true roof and cargo rack in one stellar product. 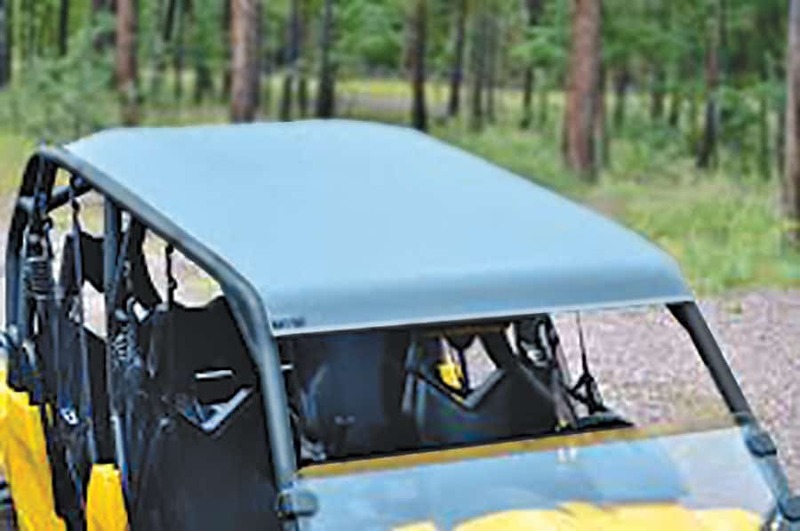 This stylish roof and rack has integrated tie-down loops, holds up to 150 pounds of cargo and is compatible with the OE visor. 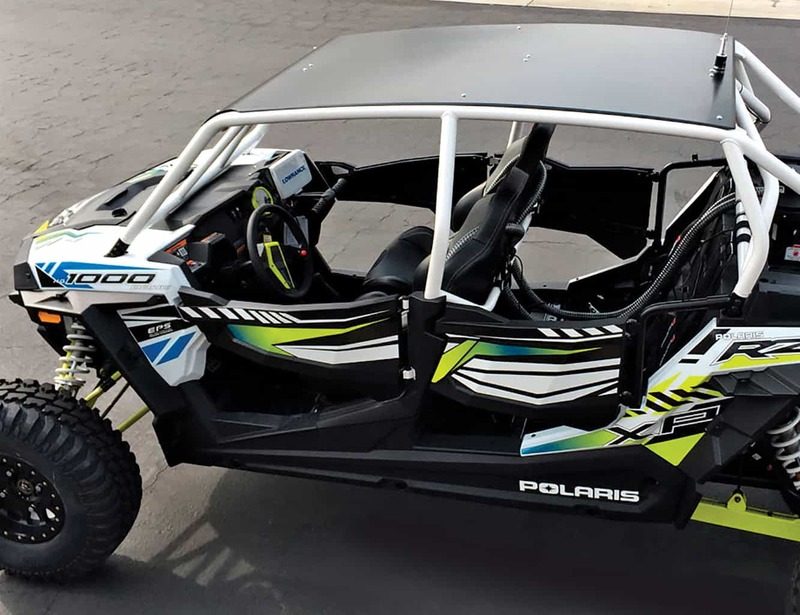 Fitment: Polaris RZR, RZR-4, RZR XP, RZR XP 4, RZR 1000 S, General, Ace, Can-Am Maverick/Commander, and a Universal model that fits just about every other two-seat UTV on the market. Construction: Every Cooter Brown roof is made in the USA from 3/16-inch-thick, thermoformed polyethylene with a black textured finish. 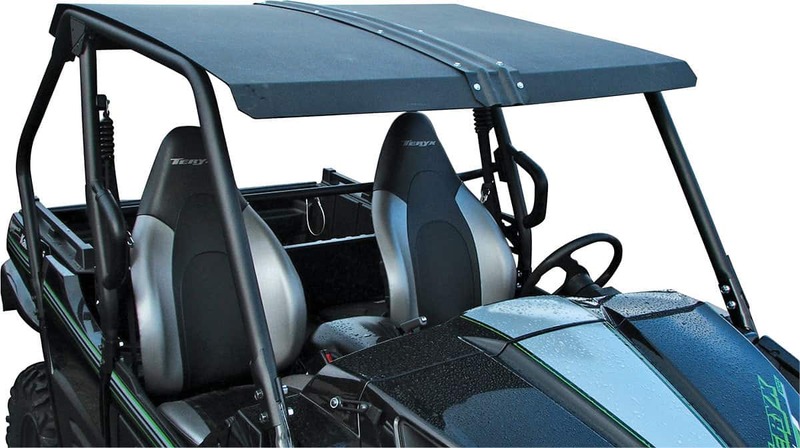 In most cases the roof installs in minutes with rubber-coated straps and stock bolts. 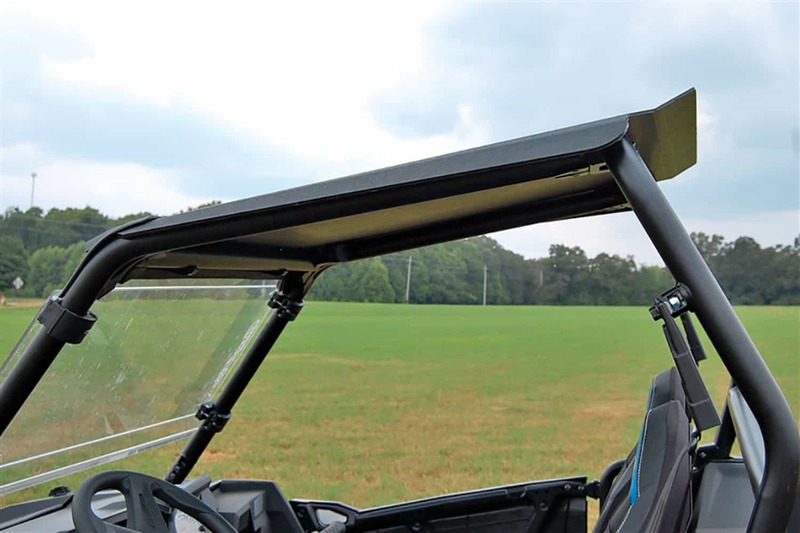 Claim to fame: The Cooter Brown’s claim to fame is durability, virtually unbreakable with normal use, and EMP has included side rain gutters to divert water to the front and rear versus dumping on the passengers’ arms and shoulders with some other roofs. 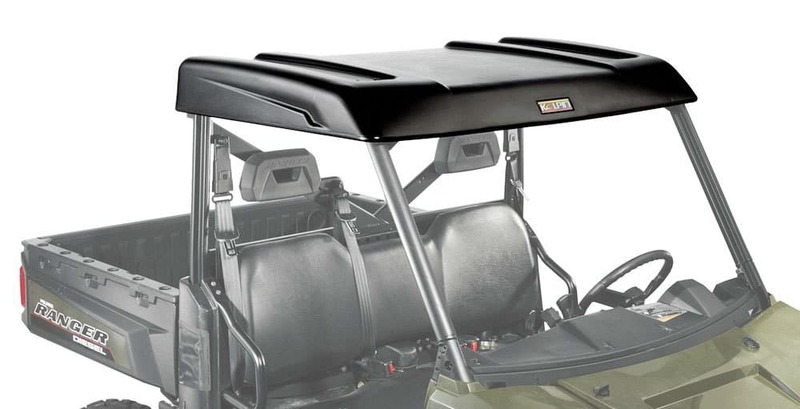 We have this roof on our Polaris General. The fit was awesome, and install took less than 10 minutes. 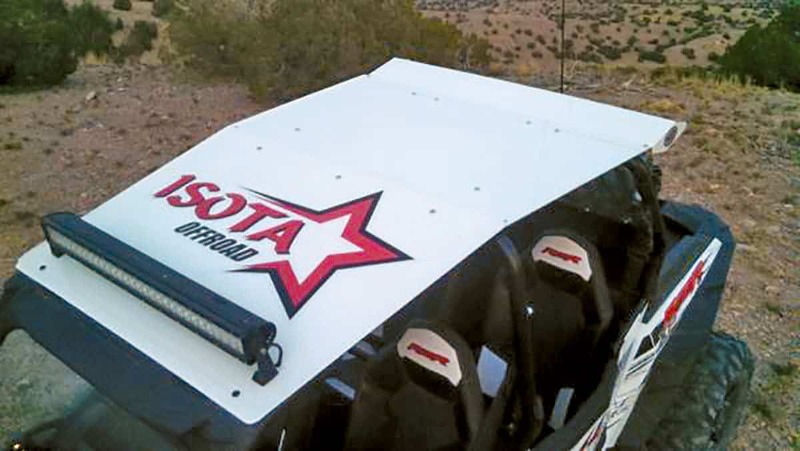 Claim to fame: Isota roofs are padded at connection points to prevent rattles, and they mount easily with supplied hardware and clamps. You can order them in orange, red, white, matte black or a blue powdercoated finish. 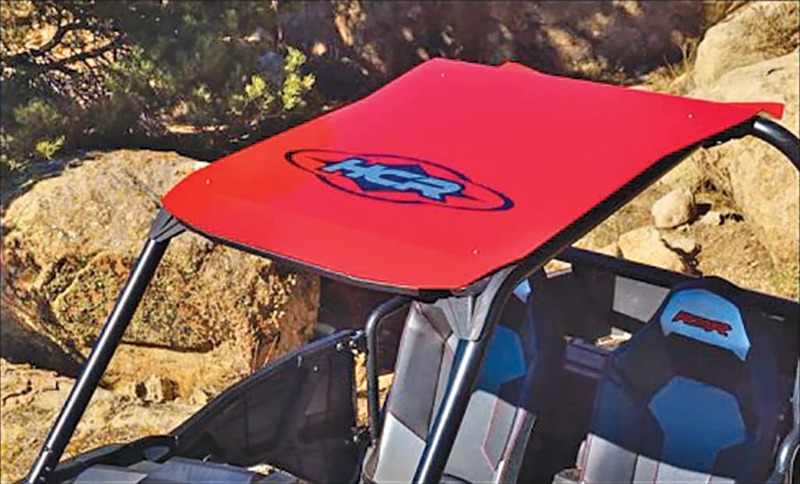 Construction: Quadboss roofs are made with durable .200-inch polyethylene with UV stabilizers to prevent fade. 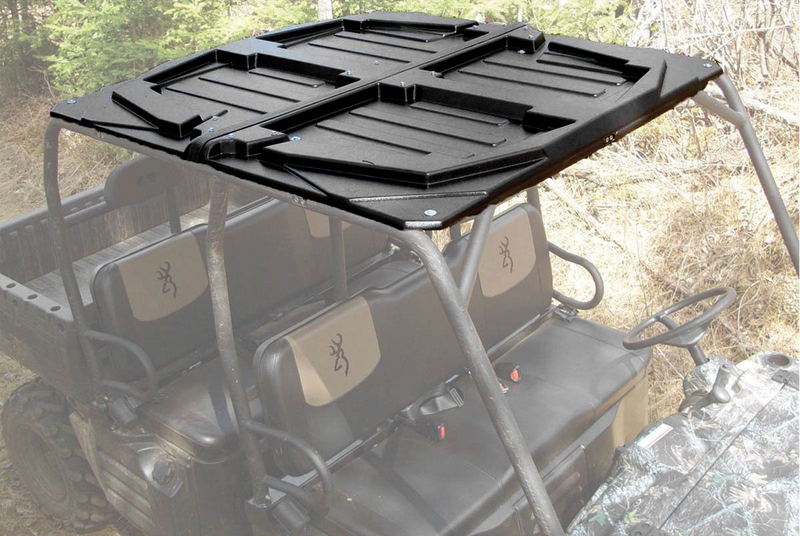 Construction: Made in the USA, most Moose Utility roofs are made from .375-inch HDPE (high-density polyethylene). They mount with rubber-coated stainless steel P-clamps that bolt to the roof. and is available in brushed aluminum or black powdercoat. weather, sticks, debris and the sun while still allowing light to pass through. 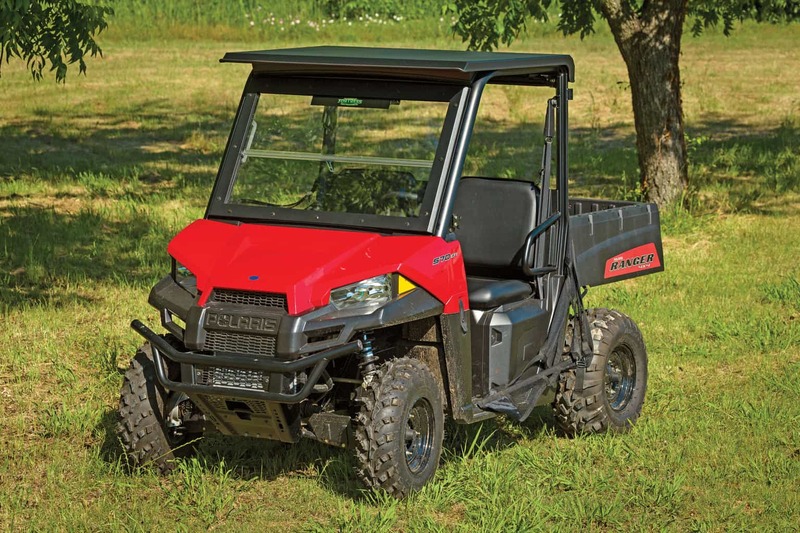 Construction: Made from heavy-duty, rigid-plastic ABS construction with UV inhibitors. 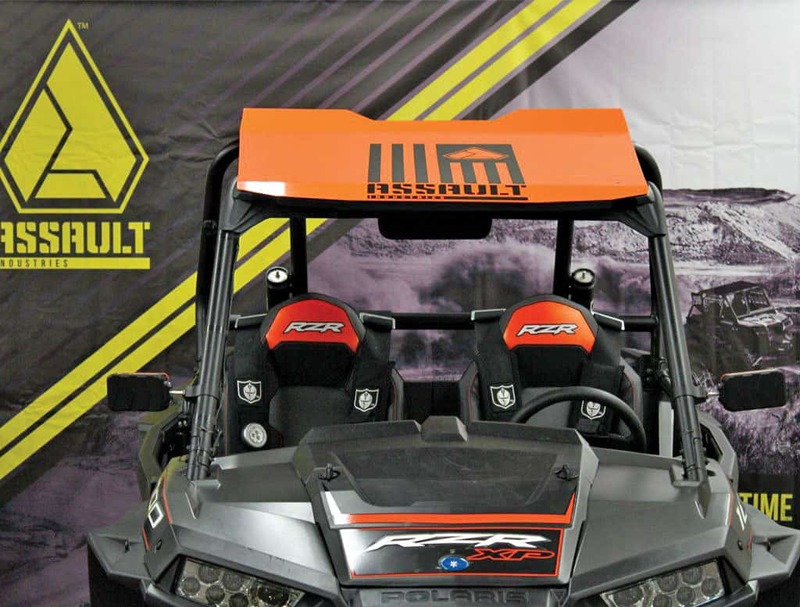 Claim to fame: First open trailerable plastic roof for the Mule Pro FXT. 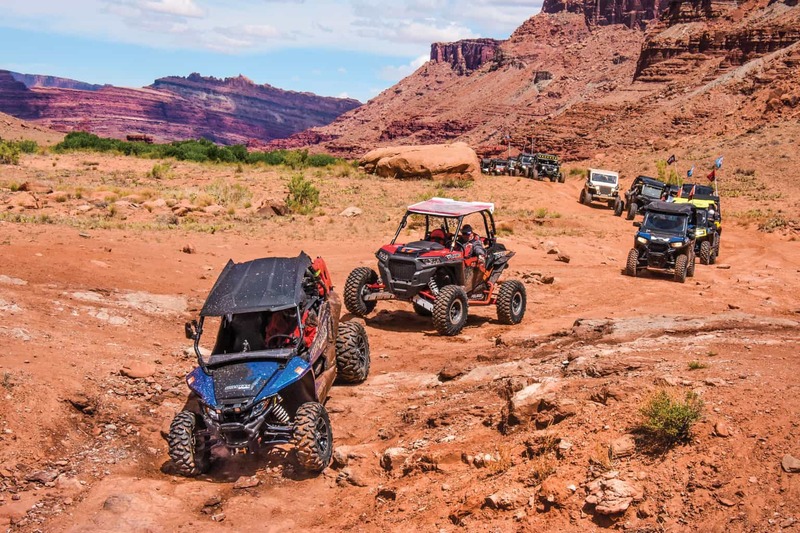 Molded pockets for LED off-road lights and a 45-minute install. 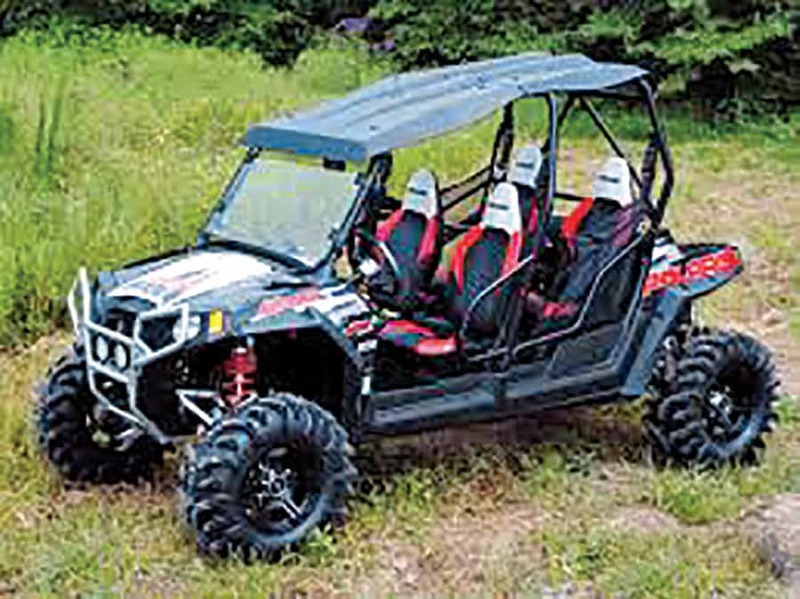 Construction: Made from .090-inch aluminum and designed to bolt to your stock roll cage. Includes all hardware and foam for a rattle-free installation.